In my late twenties I wanted to start a family; after a year with no success I went to see a reproductive doctor. 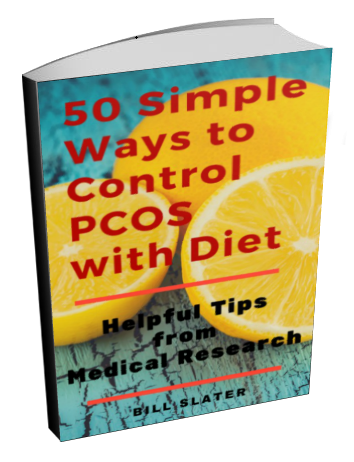 After many tests I was informed I had something called PCOS. I was initially upset to hear I had an issue. However, it explained why I couldn't lose weight despite exercising regularly. At my heaviest I weighed around 192 pounds. I began some fertility treatment without changing my diet. I went through many failed cycles with no success. Finally a light bulb went off and I decided to lose weight before undergoing more treatment. I read everything I could get my hands on about how I should proceed. I eliminated sugar almost completely from my diet. I also took tips from the Paleo diet and the Weston Price Foundation. The Weston price diet focuses on healthy fats and natural foods. The diet reminded me if how our grandparents must have eaten before we had so many options of processed food. I took my time and retreated from all fertility treatment. Healing my body with food was my goal. I lost sixty pounds over the course of a year, my diet was low carb, healthy fats (coconut oil, chicken stock, etc.) and plenty of healthy grass fed protein and fresh vegetables. I was also tested by my acupuncturist and found I was gluten sensitive. I eliminated gluten and consumed moderate amounts of dairy. I was treated by an acupuncturist who had the FABORM designation. Not all acupuncturists are created equally. After a year if healing and weight loss I went back to the fertility doctor. They were astounded by my sixty pound weight loss. I had one more fertility treatment which resulted in a beautiful and healthy baby. I feed my now ten month old baby according to the Weston price foundation guidelines for babies. I hope my daughter will be stronger for it and not go through what I did with PCOS. My fertility doctors asked me what I did to lose the weight as they said they see PCOS patients struggle with weight. Ladies, it takes a real commitment to eat healthy, but it can be done. I made sure I had healthy fats so I felt full without the empty carbs. Really an inspiring story...has lifted my spirits.Really has motivated in trying to lose the weight and conceive as well. When we say dairy, it depends on the specific product. it's one thing to milk a cow that has a pasture in your back yard and then immediately drink it. It's entirely different when you buy a quart of homogenized milk in your supermarket. Organic, raw, unrefined is preferable. Another example: whey protein (made from cow's milk) is far better for controlling PCOS than a hunk of cheese. 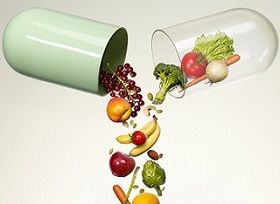 In general, the control of polycystic ovary syndrome rests on 3 pillars: (1) higher quality diet; (2) increased exercise, and (3) avoidance/minimization or detoxification of environmental chemicals and toxic metals. Don't sweat the dietary details. 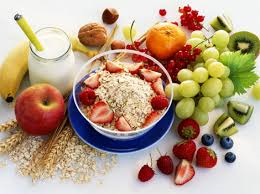 Just have a wide variety of unprocessed or minimally processed foods that appear to be healthy to you. 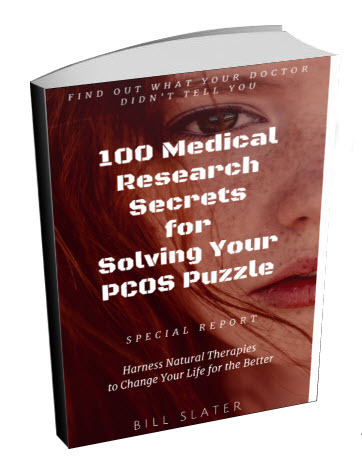 Item 3 above is almost completely overlooked but is, according to our research, critical for breaking the vicious cycle of PCOS. Example: BPA is an environmental chemical that is a known hormone disruptor. Even in small amounts, it forces the pancreas to produce up to twice the amount of insulin needed in response to your blood sugar level. The chronically increased insulin leads to insulin resistance, which the causes all your symptoms, including obesity. Solution? Complex. But here's one thing you can do. Don't eat food from cans. Some cans contain BPA. Thus, you reduce your BPA exposure, and you benefit by not eating fresh food instead of canned food. Thank you both for the information and the links! Your elaboration is also very helpful to have some sort of idea of what "path" I should be following. I'm not so concerned about what I have to give up, but actually knowing what it is that I have to give up and not making the mistake of not consuming things that my body does need. As to milk I rarely consume milk, usually Horizon Organic 2% milk (is that bad?). 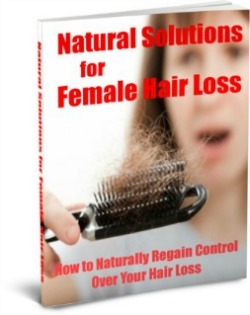 I look more into the e-book since, as you mentioned, is the PCOS-proof version of Paleo. Put a bowl of milk in front of an animal, esp carnivore or omnivore, and they will down it. Animals have no opposable thumbs or they'd probably find a way to milk other animals lol. Bulls are often caught nursing on the cow they just inseminated, to the point the cow is dry till next feeding time, not just a passing lick or two. When speaking of animal products, it is assumed, as wapf also espouses, that only organic, pastured meats or game/wild caught and eggs and pastured fermented dairy and whole grains, as in intact--barley groats, rice, etc are used. wapf does use wheat, which i wouldn't advise and wholegrain flours, but those would be for someone with healthy metabs, which obviously PCOS women do NOT have. Here's a comparison between the Paleo diet and the Westin Price diet. 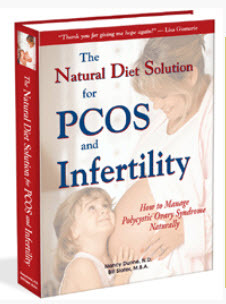 The Natural Diet Solution for PCOS and Infertility e-book closely approximates the Paleo diet but was modified slightly according to dietary studies of polycystic ovary syndrome. Here are the Westin Price dietary guidelines. Each diet has its advantages and disadvantages. For example, Paleo does not include fermented foods, which appear to be important for balancing the bacteria in your gut. This is critical for disease prevention and will affect weight loss. On the other hand, Price diet recommends liberal consumption of saturated animal fats. We need dietary saturated fats. But the problem is that commercially raised (non-organic) livestock accumulate a large quantity of environmental chemicals and other pollutants in their body fat. Some of these substances are hormone disrupters or contribute to inflammation, which in turn creates added weight. When you consume that fat, those substances are introduced into your body. Fat of organically raised animals is OK.
Grains for overweight women with PCOS is not recommended. The problem here is that the grains are almost always refined, which disrupts insulin balance and directly causes weight gain. Think about it. What do they feed poultry to fatten them up? Grains. What do they feed cattle and pigs to fatten them up? Grains. What do you feed humans to fatten them up? Grains. "Diet" is a huge topic that can't be fully reviewed here. Sorry! The ONE thing anyone can do to lose weight is to avoid refined, manufactured, processed foods. Here's another drastic idea. If you want to dramatically lose weight, simply remove any food product from your diet that contains any wheat, soy, corn or dairy. Eat whatever you want, in any amount you want -- just don't eat anything containing wheat, soy, corn (including corn-based sweeteners like high fructose corn syrup) or dairy. 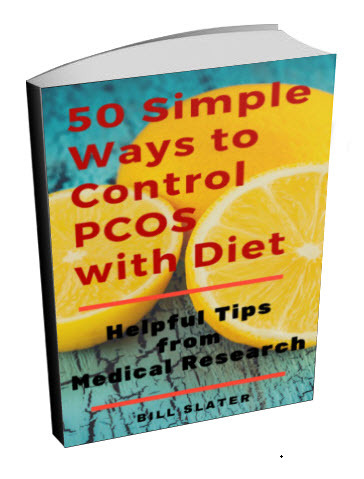 By the way, the Natural Diet Solution for PCOS diet ebook excludes all of these foods. Quick word about dairy. Most of us feel we cannot survive without dairy, or we believe that it is super-healthy. Fermented dairy products have some benefit, but consider this. "Dairy" is another word for cow's milk. Cow's milk is designed for baby cows, not humans. It is designed to spur growth of baby cows. It is NOT intended for adult cows, let alone adult humans. We are the ONLY adult species on the planet to consume milk intended for the very young of another species. It's not only strange, it also has significant unintended consequences. Ally, I would say the weston a price protocols are good for PCOS, just lay off the grains and listen wen they say, only use raw dairy, preferably long-incubated yogurt or kefir(long fermentation lowers the carb count of the final product). carbs mean ALOT with PCOS so remember that, when you're reading the WAPF stuff. at some point you should heal enough to eat more carbs, but u will quickly also not desire so many once you've reached that point in ur healing. 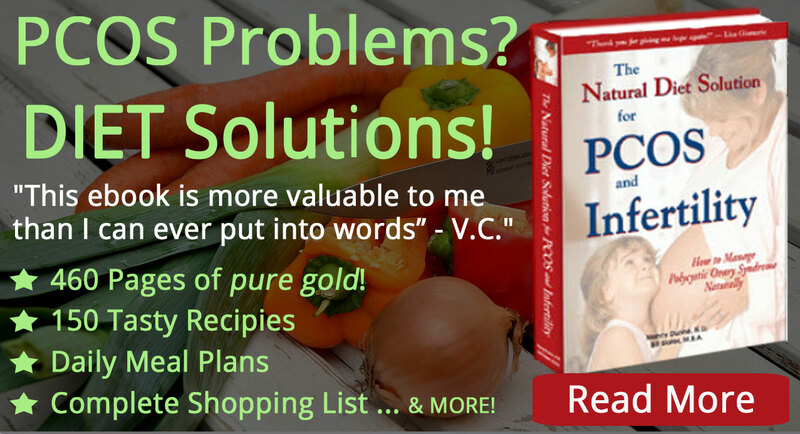 organ meats, many veggies, coconut oil...all so good for healing your whacked-out body! For other women, such as myself, that are young and diagnosed with PCOS (I'm 23), could you be more specific as to the resources used? I know it says Paleo and Weston Price, but how about some links or literature? I'm trying my best to lose weight so that when the time comes for me to try to conceive, it won't be such a frustrating experience. I've been struggling trying to find the right diet, the right book, the right doctor, and I'm sure I'm not the only one. I tried following the glycemic index, but there are several books that contradict each other and it's frustrating. Your story is so inspiring that I believe it should have links or titles to the resources used for the Paleo and Weston Price. I Googled it but everything seems all over the place, and I'm sure that not everything on those diets and guidelines are 100% PCOS safe. Thank you for sharing your success story and giving women out there with PCOS hope! KT, Thank you so much for sharing your story! It gives me so much hope! I was diagnosed 5 years ago with PCOS. I had an amazing doctor who told me to get in shape and loose weight. At the time I was diagnosed I weighted almost 250lbs! Now I weight 145lbs. Its not been easy at all. I had to change my diet like you did and became an avid runner. I hope in the next year to start trying to get pregnant, and found so much inspiration in your story! I also need high fats, including sat fats, to fill full. Low carb is hellish without enough fat, the high protein just doesn't cut it. I also found that massive amounts of veggies, esp cruciferous vegs, help becuz they are high in potassium. I used to worry about raw cruciferous but I take kelp now (capsules as I want to take alot) and that replaces the iodine I might lose by eating the potential goitrgens (the cruciferous. So I enjoy greens in my shakes and raw broccoli with dips, sliced radishes on salad or just to munch. All vegs are very high in potassium, way more than a banana lol. But your greens are just soooo good for you! I strive for 9c of veggies a day, raw or cooked. I only eat fruit, half a piece at a time, 1 piece a day, maybe 2. I still am losing wgt so I want to be careful w/the fruit. No grains for now, except occasional steelcut, soaked oats, with stevia, cinnamon & a generous pour of cream :) AHHHH, this is the life, ladies! I highly recommend Weston A. Price Foundation.